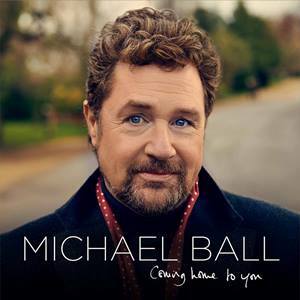 Michael Ball says it himself. ‘I’ve got soft features, curly hair with blonde bits and dimples. People think of me as a singer, an entertainer, someone who’s always there with a ready smile. ‘I’m a victim, if you like, of my own success.’ So by his own admission, he would not have been the first choice to play the title role of the tortured Sweeney Todd in the revival of the Stephen Sondheim musical, which had the critics reaching for superlatives when it opened in London’s West End on Tuesday. ‘Considering how dark a piece of work it is, this has been the happiest of experiences,’ says Michael, who turns 50 in June. He’s sitting in his dressing room, looking anything but dark and brooding. To persuade audiences that he was this anguished creature, he had to come up with a convincing new look. ‘A look that obliterated Michael Ball,’ as he puts it. ‘At first, I thought I’d shave my head, but rejected it as being too gimmicky and, anyway, I might end up looking like Daddy Warbucks in Annie. Looking the part in place, he then had to get inside the head of the character. He is nothing if not a perfectionist. When Sweeney Todd opened at Chichester last September, some audience members complained that Michael hadn’t been in the show. ‘They didn’t ask for their money back because they’d enjoyed what they’d seen. It’s just that they didn’t think they’d seen me. They genuinely hadn’t recognised me,’ he laughs. He’s much too nice to say ‘I told you so’ but if he ever did allow a trace of triumphalism to creep into his voice, it would be understandable. The germ of the idea of his playing Sweeney was planted six years ago by Cathy McGowan, the iconic presenter of TV rock music show Ready Steady Go! in the Sixties who has been Michael’s live-in partner for two decades. That was six years ago, but it was Hairspray (for which he won an Olivier), which gave him the clout, he says, to instigate this production of Sweeney. He says he could never have expected a knock at his door if he hadn’t help set the wheels in motion. The wonder of it all is that he doesn’t read a note of music. 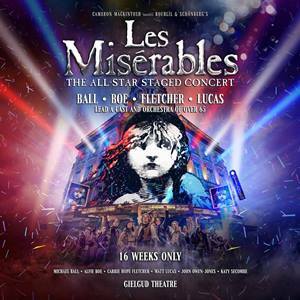 He played the Broadway cast recording of Sweeney Todd with Len Cariou and Angela Lansbury over and over again. He acknowledges that Sondheim isn’t everyone’s cup of tea. Sondheim flew over from America to see a preview before opening night. Afterwards, he had just one pointer for Michael. But what did he say about Michael’s performance? Modesty, he says, forbids. When you’re slitting throats at five-minute intervals and dispatching bloody corpses from your barber’s chair to the fiery furnace in the basement, there is huge potential for things to go wrong. The blood, apparently, is made of a sticky, sugary solution. ‘On one occasion, I cut the throat of my first victim and the blood went everywhere including all over the chair as he slid towards the chute. It’s a physical show from the off and his co-star, Imelda Staunton, in particular, is covered in bruises. ‘But she’s a little terrier, believe me,’ says Michael. ‘Indeed, she broke my rib at the cast recording. I put my neck out when I went for a high note. ‘Imelda ordered me to lie down and then knelt on my back before clicking my neck back into place. Whether the production ever crosses the Atlantic remains to be seen. In the meantime, where next for someone who’s scaled the heights of what he himself describes as ‘the King Lear of musicals’? When pressed, he wouldn’t consider doing a straight acting role, he says. ‘The truth is that there are better actors than me, but not too many good actors who can also sing. It’s always a sensible idea to play to your strengths. It’s clear that Michael has never been happier. ‘Truly, how often can you have a dream about something, work really hard to make it a reality and then end up with something that’s better than what you’d ever imagined? It's thanks to his co-star Imelda Staunton — who chops up the corpses of Sweeney’s barber-chair victims and turns them into the most popular pies in London — that Michael Ball says he’s never had such fun or laughed so much in a show. Her involvement began three years ago when Imelda (below) was a guest on Michael’s Radio 2 Sunday lunchtime show.